In this issue of Woman & Home Feel Good Food Magazine : Feel Good Food is an inspiring bi-monthly magazine brought to you by woman&home. Aimed at readers who are enthusiastic about food, seasonality, nutrition and new products, it inspires, supports and reassures both the experienced cook and the experimental novice. Each issue also includes recipes from an array of celebrity chefs. 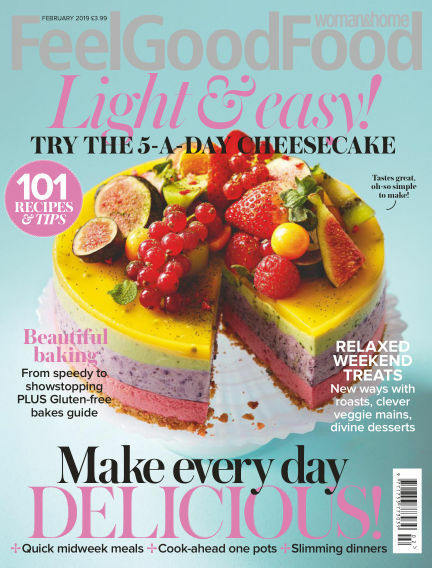 With Readly you can read Woman & Home Feel Good Food Magazine (issue Feb 2019) and thousands of other magazines on your tablet and smartphone. Get access to all with just one subscription. New releases and back issues – all included.